Yes, I am just back from Paris and I had a totally fabulous time! I never appreciate just how amazing the city is 'til I go back and rediscover it. The food's amazing, the city is so beautiful and there is just so much to see and do that I've got to go back! We were staying in Montmatre near Tom's cousin the very lovely Jo, who lives just around the corner from the 'Deux Moulins' cafe from Amelie. I did not take a photo of it as its been changed about so much you would not really recognize it! 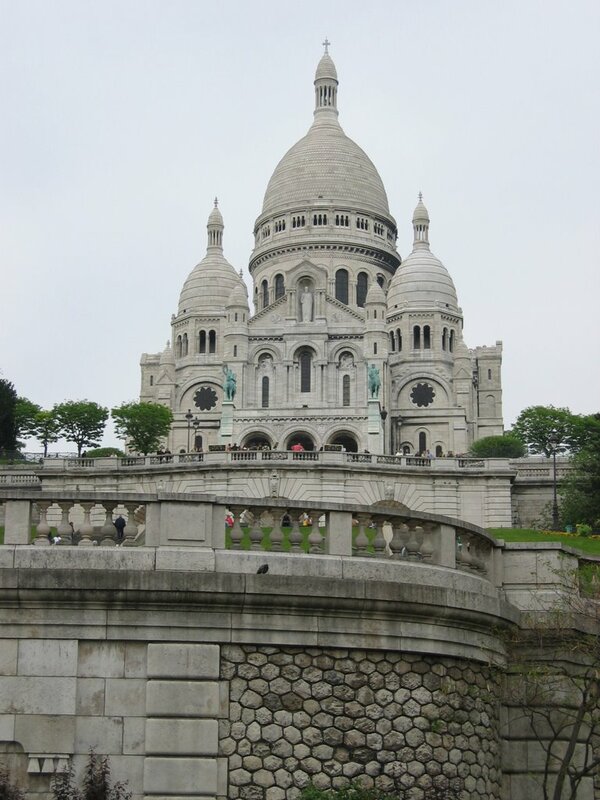 Much more beautiful is the Sacre Coeur which was also just around the corner. 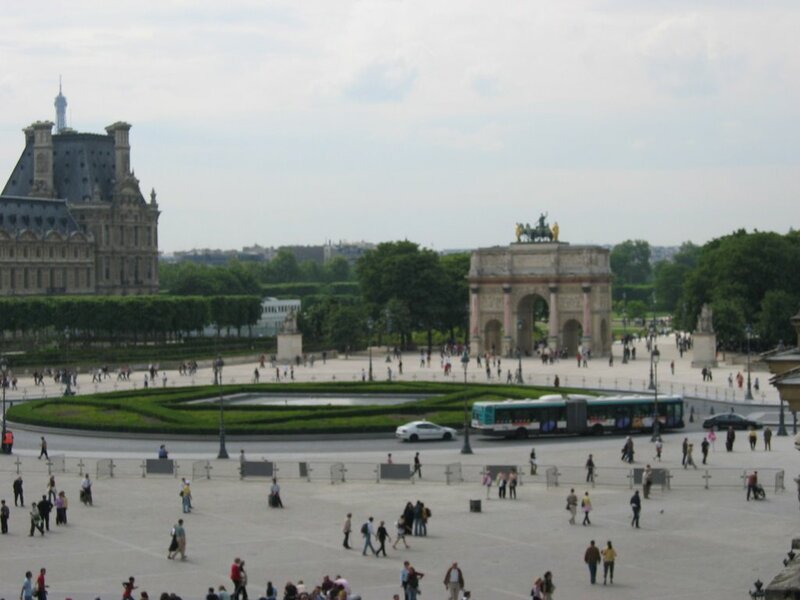 We had to go to the Louvre, but as the Da Vinci Code film is out today we avoided any area of the museum that could be associated with it like the plague! It was pretty busy but we missed the worst of it. One of the best things was having coffee on the Richlieu terrace overlooking the main court and the Jardin des Tuileries. 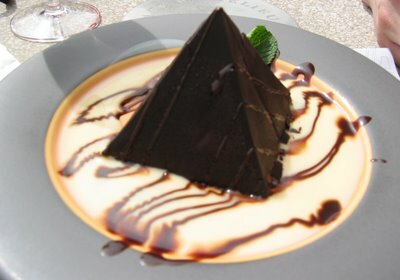 Even better than that was the Pyramid chocolate cake that I had, truly this was the coolest cake I have ever had! And someone had even taken the trouble to ice little lines on it to make it just like the glass one in the courtyard-such attention to detail! Having walked miles around the Louvre we also went to a couple of the amazing churches; obviously first stop was Notre Dame. It was as always, rather busy but still amazingly huge and beautiful. But I actually prefered the smaller and incredibly lovely Sainte-Chapelle. 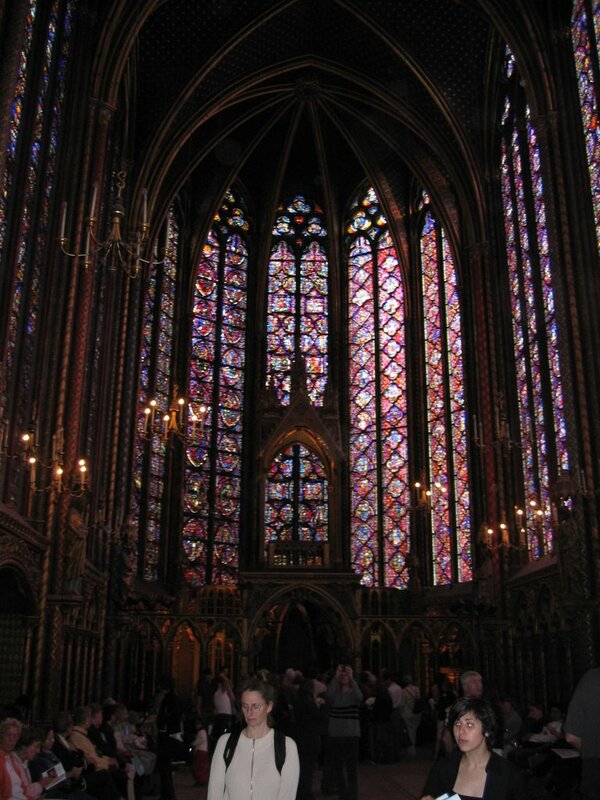 Even tho the chapel is tiny in comparison to Notre Dame the stained glass in the upper chapel is incredible and so bright, I'd never been there before and I was just blown away by it. 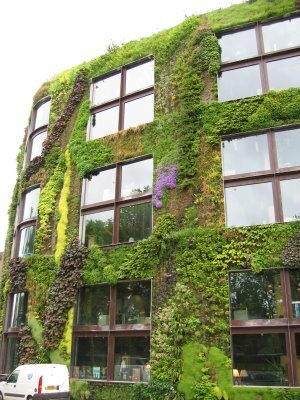 I have tried to take a photo of the windows but not being the best photographer in the world it is not great but gives you an idea of what it looks like . 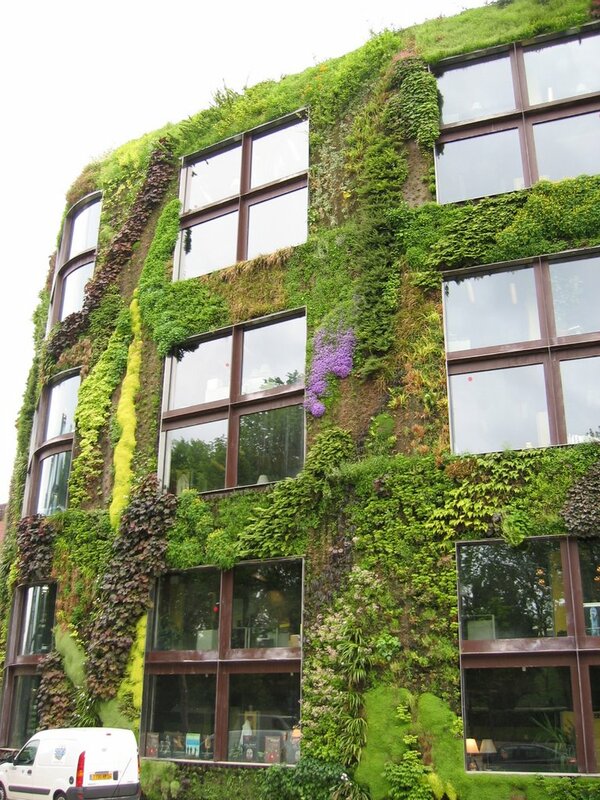 So I won't go on too much more, but the final picture I've got here is of this really amazing building we walked past that is covered in plants, it was completely unexpected but somehow it really works!